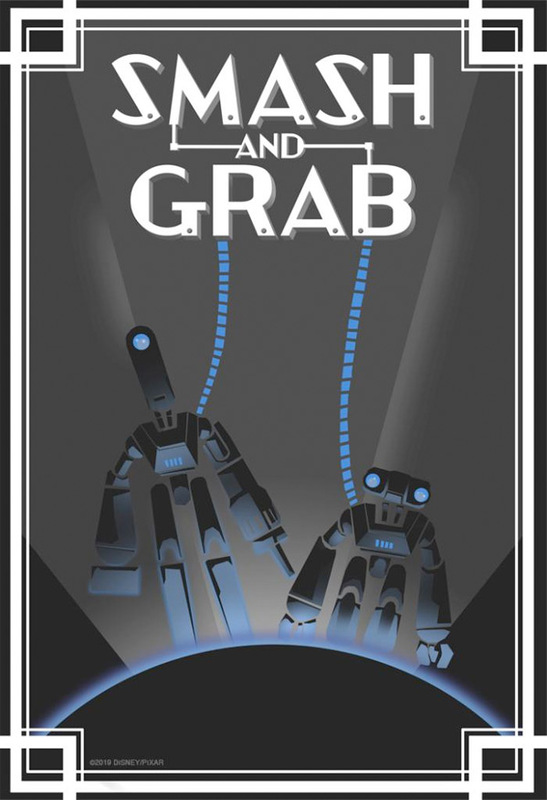 Description from Pixar's YouTube: "Smash and Grab, directed by Brian Larsen and produced by David Lally, is about two antiquated robots who risk everything for freedom and for each other after years of toiling away inside the engine room of a towering locomotive." Smash and Grab is directed by animator Brian Larsen - who worked on The Iron Giant, and he was the story supervisor on Brave. The SparkShorts program is "designed to discover new storytellers, explore new storytelling techniques, and experiment with new production workflows. These [new] films are unlike anything we’ve ever done at Pixar, providing an opportunity to unlock the potential of individual artists and their inventive filmmaking approaches on a smaller scale than our normal fare." For more info, visit Pixar.com. To see more shorts click here. Thoughts?